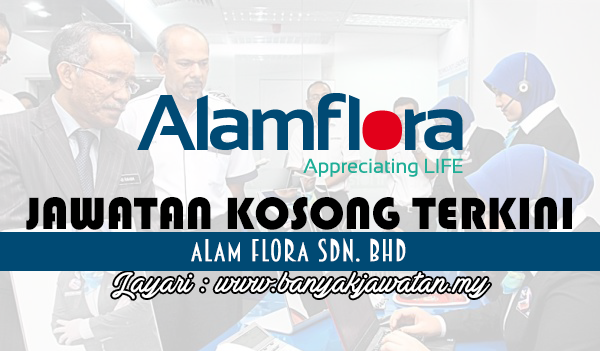 Alam Flora Sdn Bhd, a subsidiary of DRB-HICOM Berhad, is a single purpose company formed for privatization of the solid waste management (SWM) for Central and Eastern Regions of Malaysia covering the Federal Territory of Kuala Lumpur, Putrajaya, Pahang and incoming take-over states of Terengganu and Kelantan. Currently, the Company has a total workforce of more than 3,500 fulltime employees and has been operational since 1997. The company vision is to be the leading environmental management company committed to improving the quality of life. 0 Response to "Jawatan Kosong di Alam Flora Sdn. Bhd - 19 Ogos 2018"